Bar and Restaurant’ on the boulevard. The harbor provides 14 berths, slip rentals, dinghy docks and different watersport activities. The harbor has 24 hour camera surveillance and the gate closes at night. The harbor is owned by Epic Tours Bonaire and It Rains Fishes Bar and Restaurant. Epic Tours is a family business and provides Snorkel and Sailing tours. 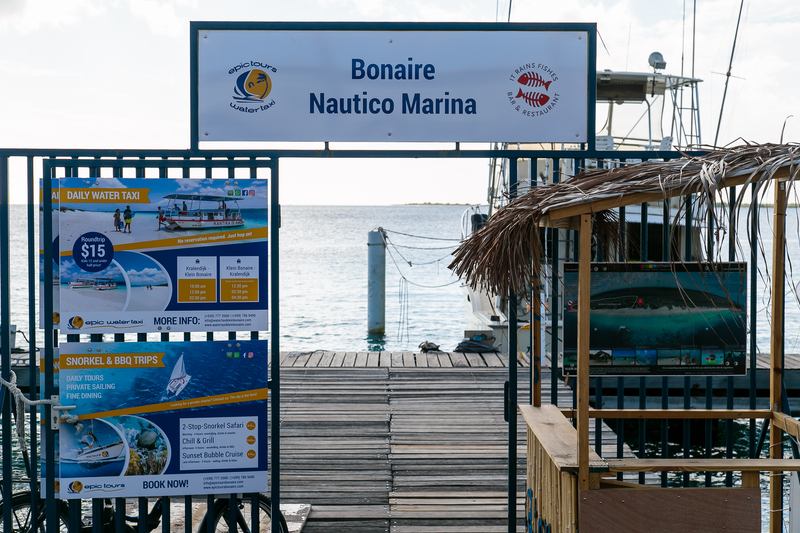 Nautico Marina is also a boarding point for the Epic Water Taxi to Klein Bonaire.